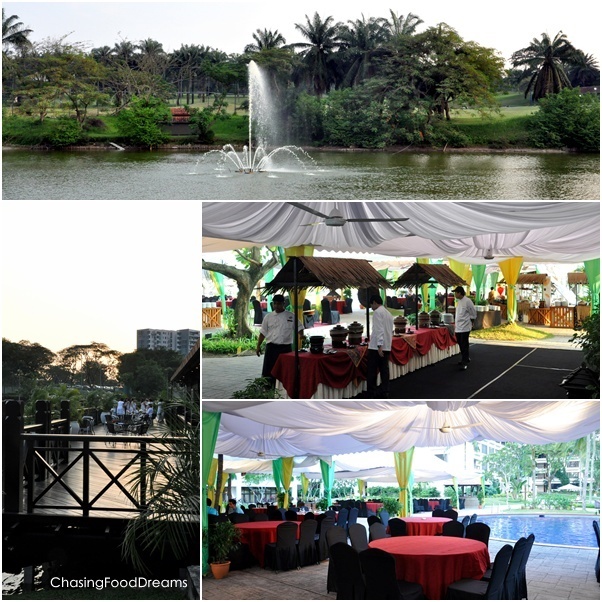 CHASING FOOD DREAMS: Nostalgia Bersama Tersayang, The Saujana Hotel, Kuala Lumpur: Buka Puasa With Your Love Ones! 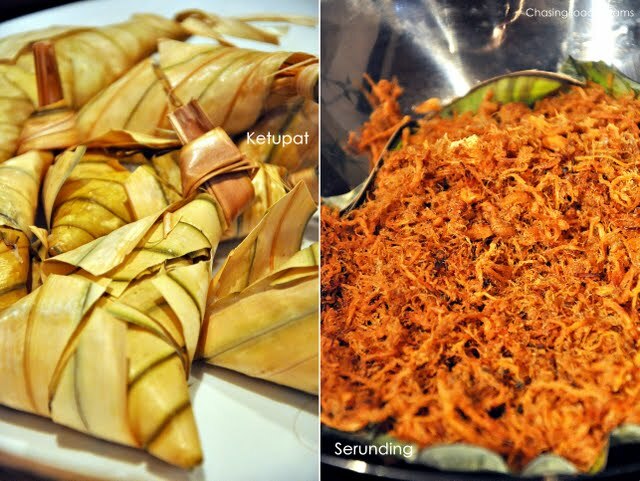 Nostalgia Bersama Tersayang, The Saujana Hotel, Kuala Lumpur: Buka Puasa With Your Love Ones! ‘A family that eats together, stays together’ defines the vision for a nation that finds family in one another through the passion for our Malaysian favorite pastime, eating! 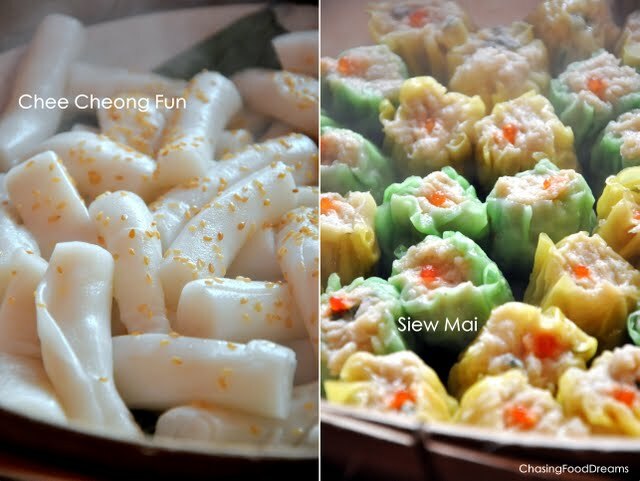 Are you up for another round of gastronomical buffet spread this month? 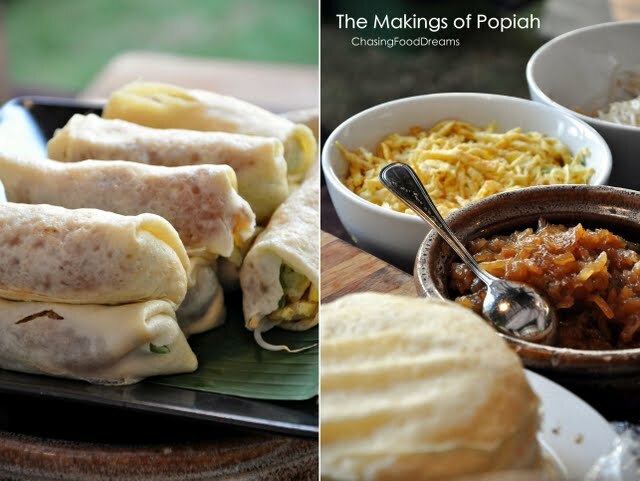 Always keeping in mind the ‘muhibah’ nature of our nation, the Nostalgia Bersama Tersayang promotion is designed to bring everyone together with our gastronomical fare of truly Malaysian fare. 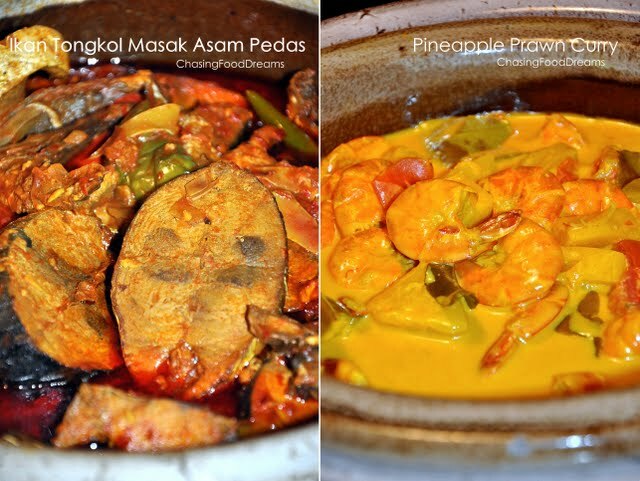 The Saujana Hotel is proud to showcase over 100 traditional home cooked dishes served in a traditional “Kampung” environment, reminiscent of those good old days. I arrived early and saw a hustle and bustle of chefs preparing an authentic array of dishes for the Buka Puasa promotion. 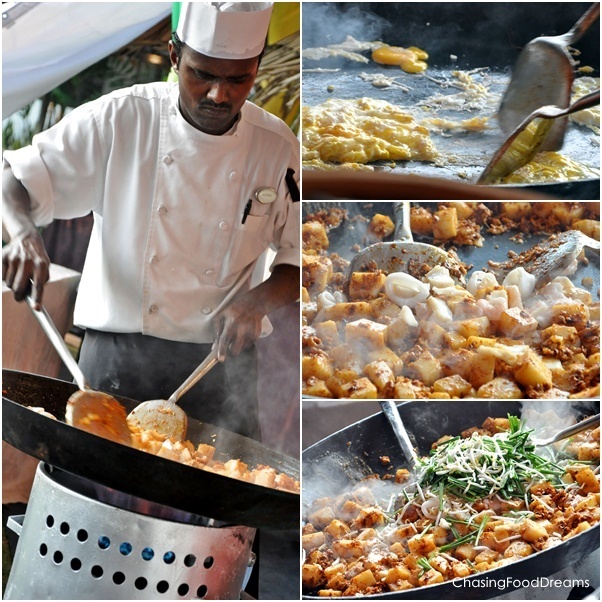 The whole garden and pool area of the hotel was transformed into a wide spread of stalls featuring sumptuous delicacies. White luminous tents and elegant table settings by the pool were widely spread out to cater to the guest’s dining comfort. From more than 20 stalls, the spread here is amazing as I had a hard time deciding where to start. 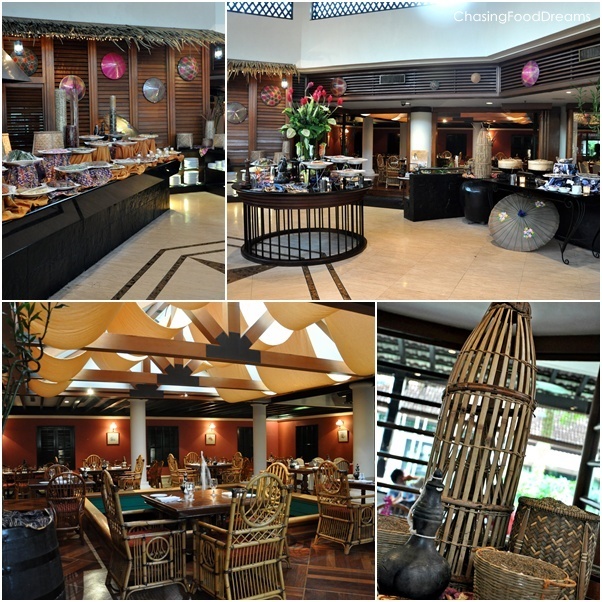 There is also an indoor dining available in the hotel’s restaurants for those who prefer air-conditioned. 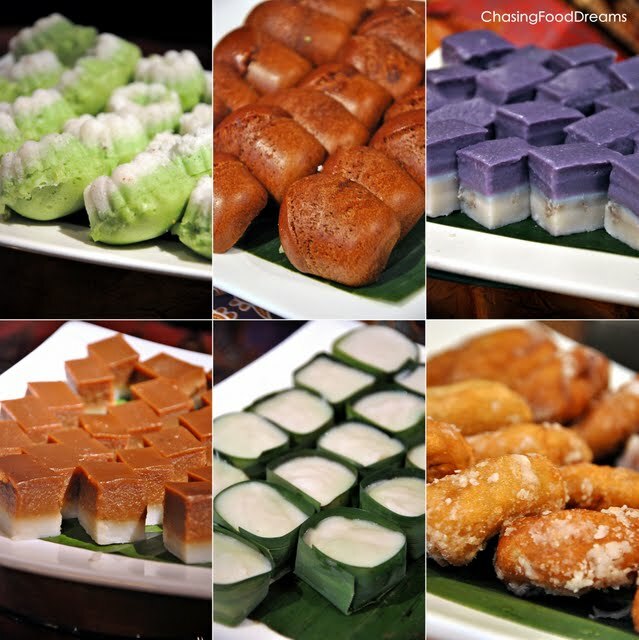 A kampung spread of desserts and salads are beautifully placed in the lovely ambience and one can dining in comfort with the gentle sound of a small fountain in the restaurant. Guest will be entertained by a live Ghazal Band each night while they enjoy their Break Fast moments with family and friends. Let’s start with the gorgeous Whole Lamb on the barbeque pit which was screaming for some attention! The roasted lamb was executed perfectly as it was so evenly golden all over. I had a few slices and found them very moist and juicy. There was even my favorite mint sauce and other local sauces to go with the lamb. Love the fact that the lamb did not have the strong gamey smell! 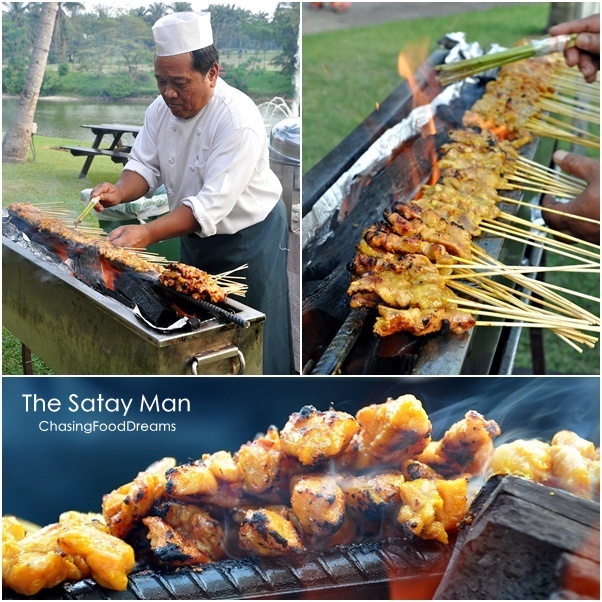 I adore the pakcik grilling the Satay! He was so focus on the satay that he didn’t even notice me snapping pictures of his actions and his scrumptious satay. This is the best satay I have tasted in all my Break Fast buffets so far… the meat was simply so juicy and moist and the taste was perfect. Slightly sweet and lean, the chicken and beef were beautiful. 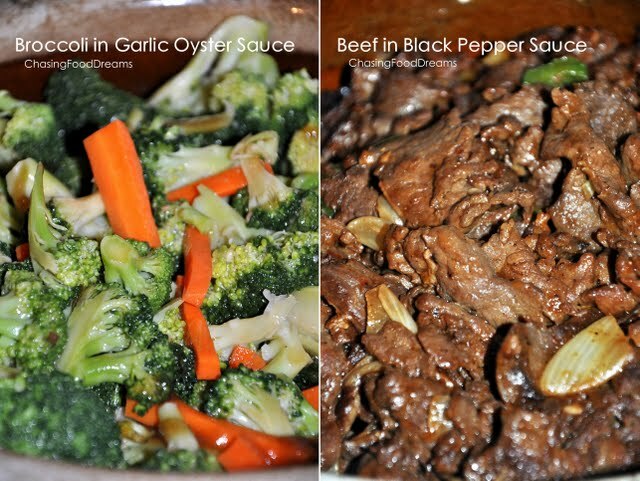 Both had great seasoning and when coupled with the peanut sauce, this was heavenly! Super thumbs up from everyone that night!! 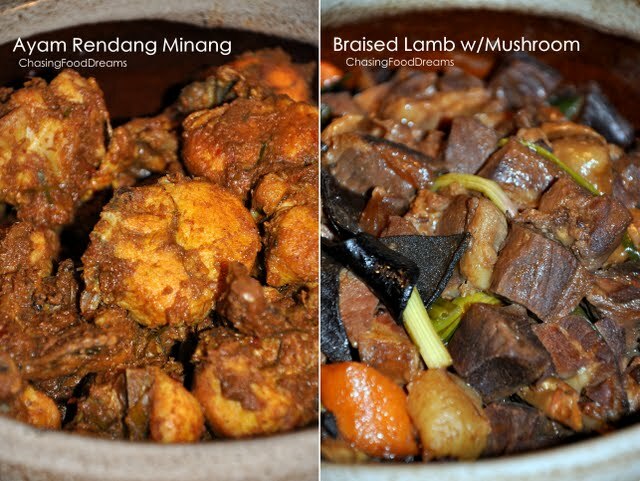 Our lovely main dishes that night was Ayam Rendang Minang, Ikan Tongkol Masak Asam Pedas, Beef with Black Pepper Sauce, Lamb Cube with Mushroom and Pineapple Prawn Curry with Lemongrass. The chicken rendang was decent but I love the Ikan Tongkol more because it had the lovely sourish oomph that I adore. Another station to watch out for is the Grilled Station! Featuring Black Pomfret, Mackerel and Otak-otak, this really stole my heart… the pomfret was an absolute perfection in my opinion. Grilled with robust smoky aroma, the pomfret was well marinated with spices and was jazzed up by their chili padi sauce. 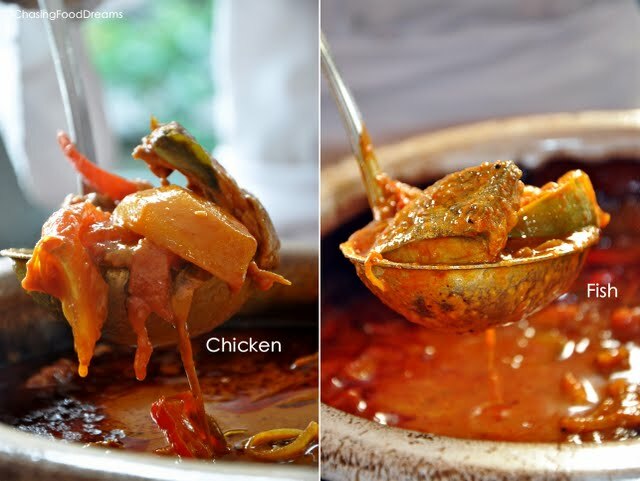 Moist & juicy with big chunks, the guests were grabbing this as soon as it was placed in the pot! Check out the lovely huge chunks of chicken being gently roasted on the rotation grill. Arabian Sharwarma is actually an Arab sandwich wrap with shaved meat or poultry and dressed with shredded veggies and a creamy sauce. I tried a small piece and it faired decent as the chicken was average. I caught this chef in action busily stir frying a huge wok of Stir Fried Carrot Cake. He sure takes his stir frying with great gusto and I could smell the lovely wok aroma from the high heat! 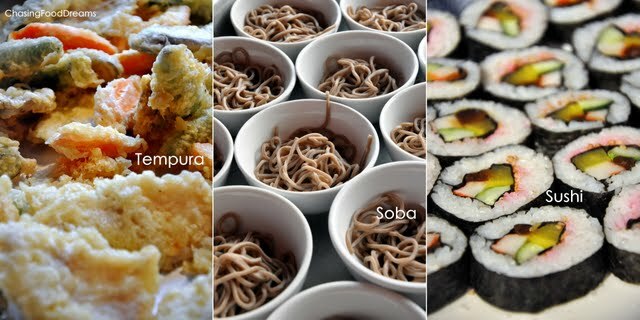 Among the stalls, I spied Popiah, Yong Tau Fu, Noodles, Rojak, Dim Sum, and even Tempura with Soba Noodles. 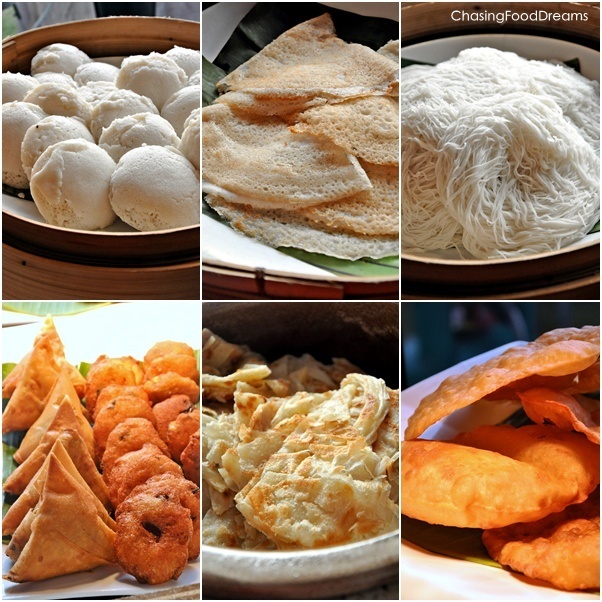 There is also a lovely array of Indian snacks like Roti, Thosai, Putu Piring, Putu Mayam, Poori, Vadai and Samosa served with glorious creamy Fish and Chicken Curry and Dhal! Yellow hue Roti Jala and Nasi Briyani was also present. 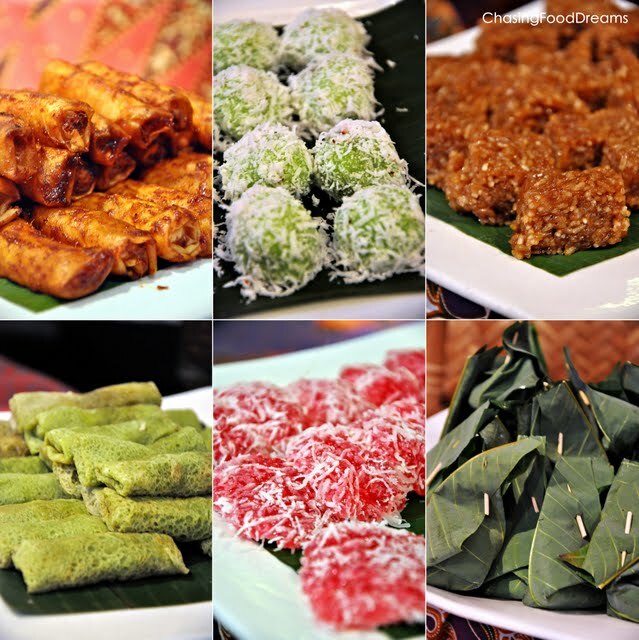 I proceeded inside the cool restaurants and was treated to a wide spread of Kerabus, Sambals, Salads, Ketupat, Lemang, Serunding, Pumpkin Soup and a plethora of local Kuih Muihs and international desserts. My verdict? Definitely one can feel the love here as the food spread is made with great effort and care. It may not feature huge crustaceans but the flavors and textures were all executed beautifully. 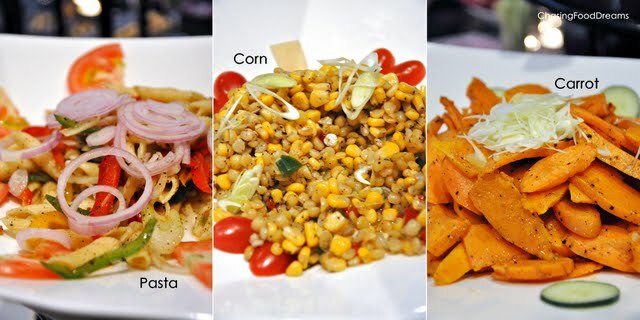 I love the fact that most of the food are prepared fresh by chefs rather than precooked and left in warmers! The concept here is a plus-point as I like my food hot and fresh. 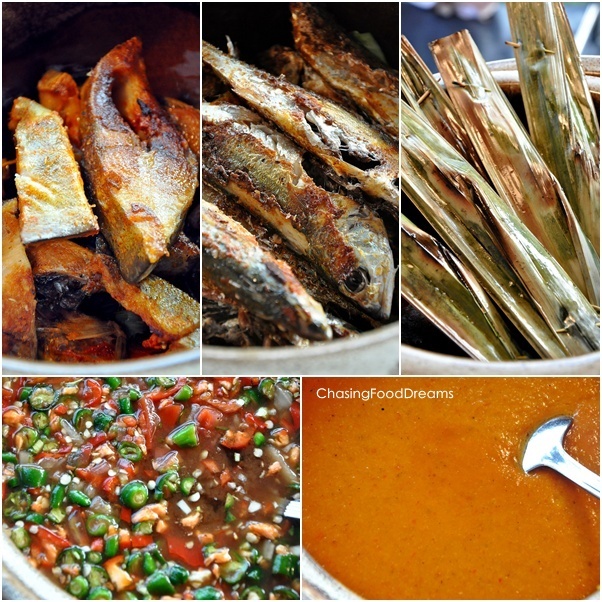 Highly notable must-haves are Satay, Grilled Fish, Lamb, Rendang, Ikan Tongkol and Fried Sago! For just RM94++ per person, the Nostalgia Bersama Tersayang promotion kicks start from 1st August to 26th August. For reservations, please contact Reservations Office at +603 7840 5502 or email dine@thesaujana.com. 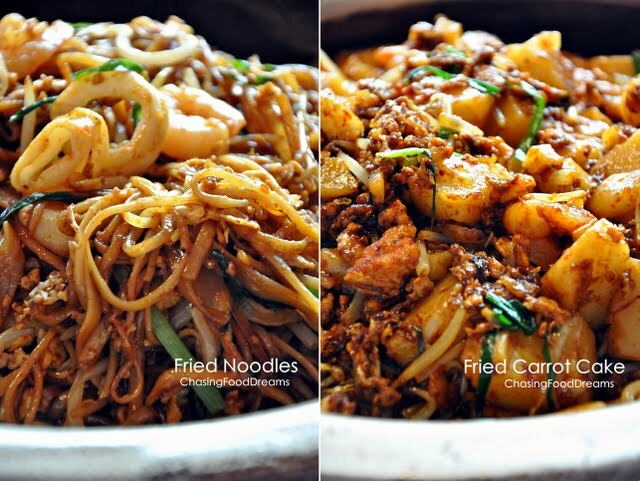 For further enquiries, please call our Catering Sales at +603 7843 1234 ext. 6014/6020 or email info@thesaujana.com. *Thanks to The Saujana Hotel & BBO for the invite! 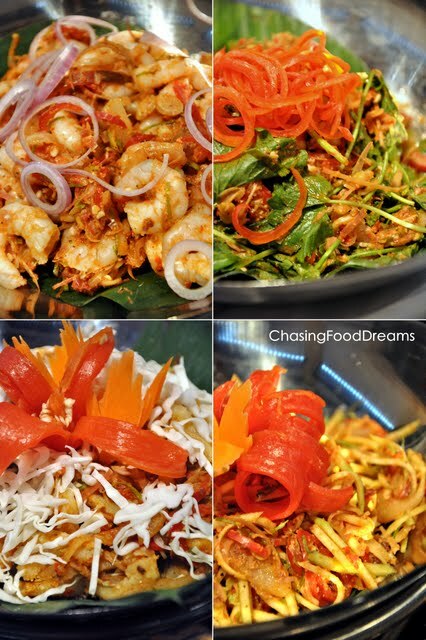 the satay.. am drooling already! Merryn: I m still dreaming of that satay too! CY: Yep.. one of the best! i love the fish...absolutely yummeh.